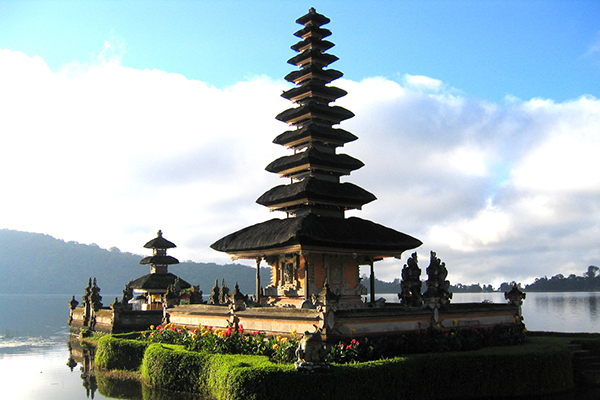 Ulun Danu is one of the most beautiful temples on the little island of Bali. It is a Hindu-Buddhist temple founded in the 17th century. It is dedicated to Dewi Danu the water goddess. I took this shot a few weeks ago. 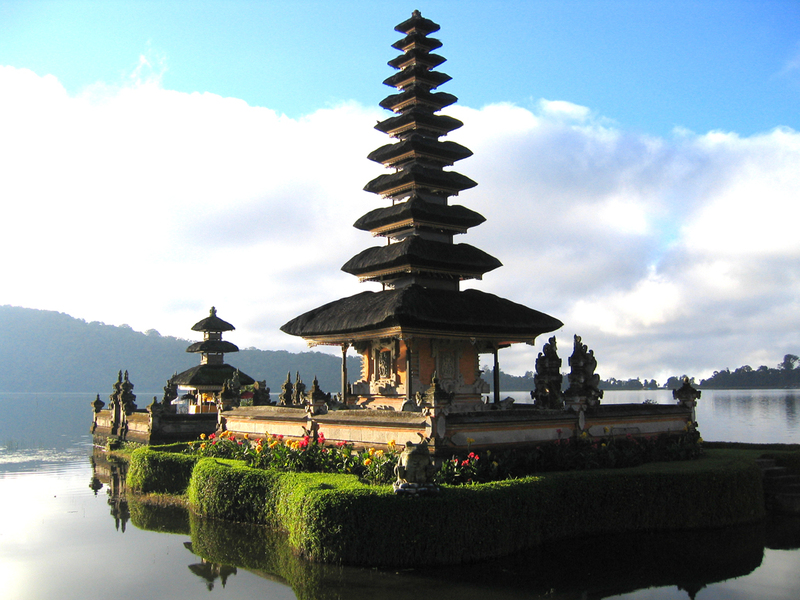 The temple sits in Lake of Danau Bratan. I always enjoy spending time in this area. Usually a nice mist rolls in during the early evening and gives the temple a mystic look. I spent the night next to this site and really enjoyed a calm, relaxed time.